Snowfall is in the forecast for several B.C. highways over the weekend, including a major route that might see as much as 25 centimetres. Environment Canada issued a special weather statement for a stretch of the Coquihalla Highway ahead of an approaching Pacific frontal system. The snow is expected to start early Saturday morning in the area between Hope and Merritt, with 10 to 15 centimetres expected near the Coquihalla summit and Kootenay Pass by the afternoon. Another five to 10 centimetres of snow is possible Saturday night, Environment Canada forecast Friday. Other southern B.C. highway passes could also see precipitation fall as snow, though the estimated totals are closer to five centimetres. Anyone driving through the area over the weekend should be aware that weather in the mountains can change suddenly, resulting in hazardous driving conditions, the weather agency said in its statement. 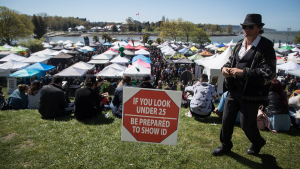 They're advised to check conditions before heading out on sites such as DriveBC. 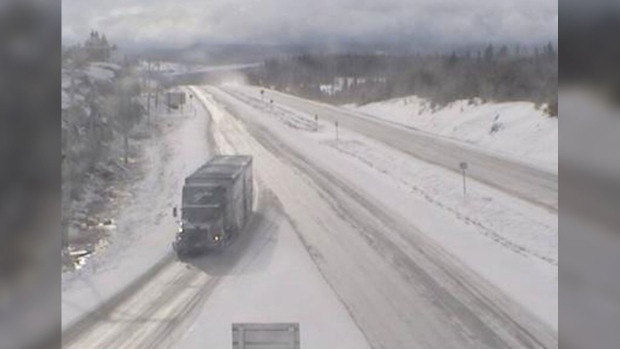 The advisory comes just two days after a spring storm created such poor conditions on Highway 97C that Mounties urged drivers to avoid the connector altogether. At least one truck jack-knifed near the Pennask Summit and another got stuck in the slush. Mounties posted a reminder on Twitter that snow tires are mandatory until April 30 on many B.C. highways. While parts of the province are still seeing winter weather, April showers are in the forecast for the next seven days in Metro Vancouver. Environment Canada is calling for rain from Friday night to at least Thursday, with highs between 11 and 14 C.